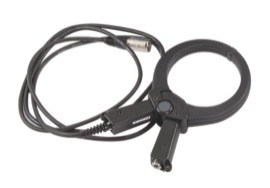 The Radiodetection signal clamp is a safe and straight forward way to apply the generator signal to a cable or small pipe to enable precision tracing of this service. It is connected to the transmitter and then clipped around the service. Supply through the service is not interrupted by the applied signal.